Beef cattle and the meat processing chain are of great economic importance in Brazil, since they are responsible for creating thousands of jobs. Nevertheless, the issue of health and safety of the sector’s workers is a major problem given the high number of accidents at work and workers in sick leave, as a consequence of working at low temperatures, doing repetitive tasks, and carrying weights. 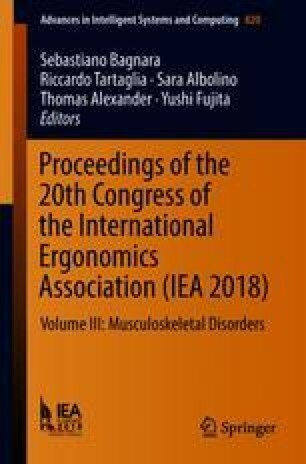 In light of that, this article aims at identifying the association between musculoskeletal pains and discomforts and the implementation of a system of break periods and task rotations in the slaughter sector of a cattle slaughterhouse. The method employed consisted of direct observation, interviews with workers, and the application of ergonomic analysis methods. Results show that the lack of guidance in the implementation of task rotation still generates complaints, discomforts, and sick leaves. Finally, we developed a functional task rotation plan grounded on the analysis of work stations’ risks.